OSLO, Norway – Norway sells the most sporting goods in the world per capita. According to the trade publication Sporting Goods Intelligence (SGI), Norwegians buy three times more sports products compared to the average European (based on 2008 figures). This extremely high interest in sporting goods is also an explanation for Norways growing bicycle sales. OSLO, Norway – Norway sells the most sporting goods in the world per capita. According to the trade publication ‘Sporting Goods Intelligence’ (SGI), Norwegians buy three times more sports products compared to the average European (based on 2008 figures). This extremely high interest in sporting goods is also an explanation for Norway’s growing bicycle sales. Market analyst HSH, in cooperation with the country’s association for the sports sector ‘Sportsbransjen’ recently reported that the sporting goods industry in total will continue to grow. This year growth is expected to reach approximately 6%, somewhat lower than the 11% in 2009. Over 400,000 bicycles were sold in Norway in 2010. Considering it is a country of less than 5 million people; with an average temperature of 4.5° Celsius and 5 winter months per year, quite a high volume. A good portion of those bike sales are relatively expensive sports models. Fewer are for commuting or transportation. The trend in the market is people buying higher priced bicycles, while volume is slowly decreasing. This is partially due to the fact Norwegians are willing to pay more. However, the higher prices are also due to currency volatility and significantly higher production prices. The majority of sold bicycles are medium priced MTBs and hybrids. However, end users are discovering the sport of cycling more and more. 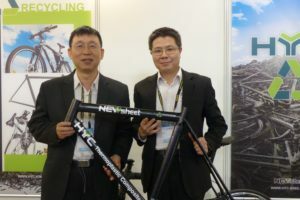 People are buying more than one bicycle, to cover an increasing interest in Road, cross-country and downhill mountain biking and other cycling disciplines. Winning results from racers such as Evald Boasson Hagen and World Champions Thor Hushovd (Road) and Gunn-Rita Dahle Flesjå (MTB) are also boosting interest in cycling sports. Cycling events like Birkebeinerrittet, Grenserittet, Nordsjørittet and Trondheim Oslo are very popular and recruit thousands of new cyclists every year. The most popular MTB marathon race, Birkebeinerrittet, with more than 20,000 starting tickets sold out in only 41 seconds last fall! As noted earlier, Norwegians buy bikes mostly for sports use, not for transport. Infrastructure to support cycling as transportation is not very well developed. Unfortunately, road conditions for urban cycling are close to miserable in most major cities in Norway. This results in only 6% of all Norwegians that ride their bike every day to work or school. Norway is one of the richest countries in the world, and at the same time a developing country with respect to adapting conditions for cycling. In both Sweden and Denmark the percentage of people who cycle to work/school is much higher than in Norway.13% of the Swedes and 17% of the Danes use their bicycle for daily transportation. 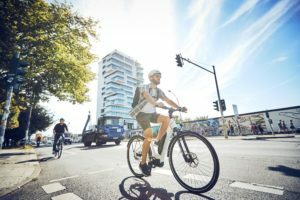 The Norway government’s willingness to facilitate better bike paths will be important for the future growth of the cycling market in the country. 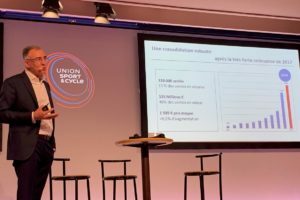 Currently electric bikes are almost not available in Norway. 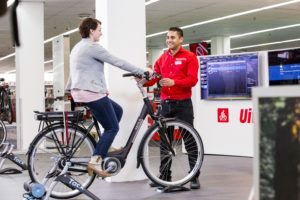 None of the big selling brands has put products out there to boost this segment and the market is eager to see how the sales of electric bikes will evolve in the future, particularly with regards to the environmental focus. It is very trendy to be athletic in Norway. The sports industry has grown more than any other retail sector for the past four years. The bike and sport sectors have taken market share from the textile and shoe business. The Gresvig group, which includes the G-Sport and Intersport, counts for more than 36% of the turnover in the sports industry. As of Fall 2010, Gresvig is also starting up a new superstore concept called ‘G MAX’ which will be large stores from 2,000 to 4,000 square meters. Gresvig group also distribute their own brands, Nakamura and Diamant bicycles, in addition to international brands in their stores. The second largest player on this market, Sport 1 has grown with 300 million NOK (€ 30.95 million) in turnover, after joining forces with Anton Sport last year. Sport 1also have their own brands Xeed and Jamis in addition to international brands in their stores. XXL is the ‘winner’ in Norwegian sports industry in 2009/10 with a total growth of 65% in the 2009 season. XXL has 14 large stores in the largest cities of Norway and opened their two first stores in Sweden this fall. The founders of XXL sold a large part of the company shares to a Swedish private equity company (EQT) this summer. The company is now ready to enter the Swedish market in a big way. XXL also have their own brand called Spokes in addition to international brands in their stores. There are three major bicycle distributors in the market. Gresvig (Diamant/Nakamura), Stians Sport AS (Merida) and Cycleurope (DBS). They count for close to 50% of the sales in the market. Diamant/Nakamura is sold exclusively in G-Sport and Intersport stores. Stians Sport AS is expanding their 25 year-old business selling Merida in Norway to also build the business in Sweden, opening up Merida Sverige AB as a Swedish Merida distributor November 1st 2009. There’s hardly any bike production in Norway. 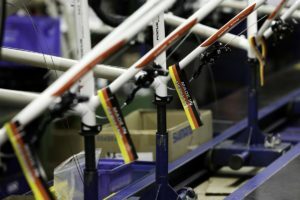 All bikes are imported and the main supplier is China. As Norway is not a member of the European Union bike imports from China are not hampered with big anti-dumping duties. Regarding 2010 bike imports; adding the 2009 import numbers for October, November and December to the imports up to September 2010, the total for this year stands at 427,052 bicycles. This number is quite high. Many importers currently have close to empty stocks, similar to the 2007 season, which saw record imports of close to 523,000 units in 2008. This was the peak importing year in the Norwegian bike history and the number one year for sales in the last decade. So, for 2011 all signals are green! Bike sales by category: MTBs 45%; Hybrid/Trekking 25%; City 5%; Road Race 5%; Kids/other bikes: 20%.